18 Feb 2016 Washington D.C. 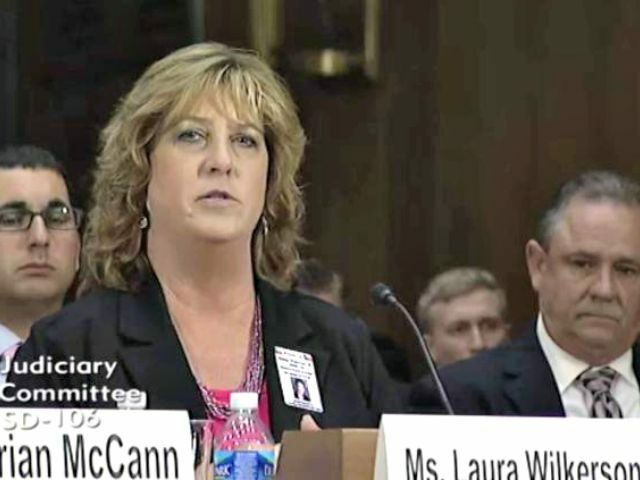 In an exclusive telephone interview with Breitbart News, Laura Wilkerson, whose son was tortured to death by an illegal alien, explained why she cast her early ballot today for GOP frontrunner, Donald Trump. In stark contrast to her support for Trump, Wilkerson said she gave no consideration whatsoever to voting for Marco Rubio, pointing out that despite introducing multiple immigration expansion bills, he has not talked to the victims of illegal alien crime. I gave no consideration to voting Marco Rubio. He was a Tea Party darling, who flipped and did the exact opposite of what he promised to do get elected. I do not trust him for one second. He never said one word to me, even after I testified. He does not speak to the victims [of illegal alien crime].